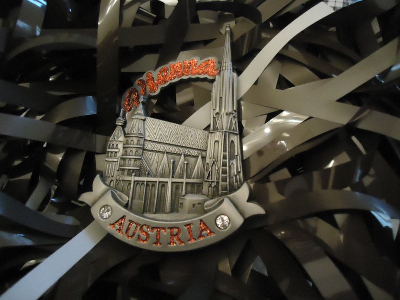 In Magneto Mori sounds from Vienna’s past and present are conjoined in a stew of semi-degraded audiotape. Using a portable reel-to-reel tape recorder sounds from around the city were recorded direct to tape over a two-day period. This tape was then cut into fragments and buried in a hole in the ground with a number of magnets that erase the portions of the tape that they come into contact with. After several days steeped in the muddy earth of a Viennese garden the remaining audio fragments were exhumed, washed, dried and spliced back together in random order. The deliberate distressing and erosion of these present-day recordings results in artificially degraded sounds that fast-forward the effects of time, disrupting the perceived chronology of this audio matter. 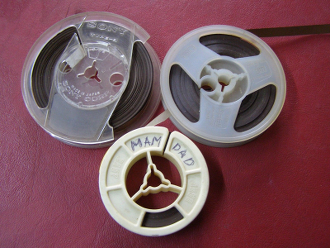 During the tapes interment old cassette, Dictaphone and reel-to-reel tapes were gathered from local flea markets and additional field recordings were made around the city. The introduction of these found elements stretches the timescale from just the short period spent making location recordings to as much as fifty years into the past. All of these elements provided the raw materials for a radiophonic composition that represents a portrait of Vienna in place and time; an archaeological excavation of found sounds, lost fragments, buried memories and magnetic traces. Presented here are the sounds that endured.